By completing this form I agree that as a player for Tankerton FC I confirm I have read a copy of the Club’s Constitution. I have also read the Player’s Code of Conduct and that this has been explained to me. I understand what they mean and I agree to adhere to them to the best of my ability.  All codes of conduct are available on the clubs website www.tankertonfc.co.uk – otherwise ask your Team Coach for a copy. Please ensure both parents /guardians/registered carers read and complete this form to agree to these consents and declarations. If you do not wish to accept any of the terms please speak with your Team Coach. By completing this form I agree that as a parent/carer of a player for Tankerton FC I confirm I have read a copy of the Club’s Constitution and the Parents Code of Conduct and that our family agrees to adhere to them to the best of our ability. Codes of Conduct and the Club’s Constitution are available on the website www.tankertonfc.co.uk or ask the Team Coach. By completing this form I/we hereby give my/our consent to allow photographs of our son/daughter to be taken and used for promoting the Club. By completing this form I/we hereby give my/our consent to any medical treatment and/or administration of medicines by a qualified doctor as may be required in an emergency when I/we are not present at training or a game. For example, an Inhaler. If you don't have any special medication requirements, please type 'NONE'. For example, Penicillin or Nuts. If you don't have any allergies, please type 'NONE'. If you are currently out of work for any reason, please just type 'NONE'. Can you Assist Your Team/ the Club?